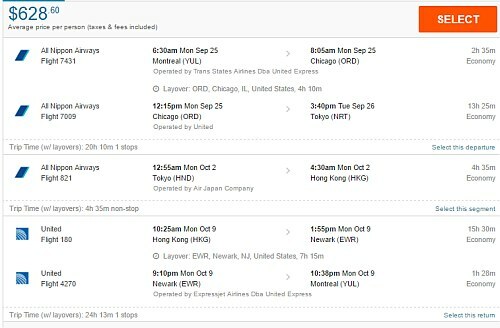 United Airlines has dropped the price of their September and first half of October flights from Montreal to Hong Kong down to $499 CAD roundtrip including taxes. 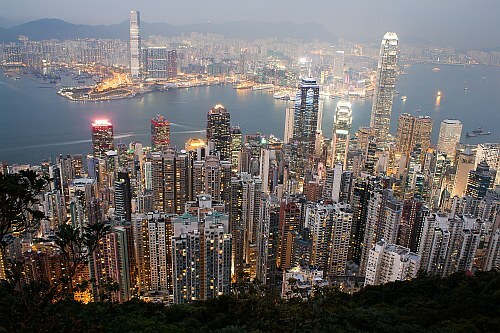 You can also turn this into a 2-in-1 trip and visit both Hong Kong *and* Tokyo, Japan for $628 CAD. 2. Or you can try searching for them on Momondo to book them for $495 CAD roundtrip. From Momondo, the booking site Airtickets.com is showing them for $495 CAD roundtrip. NOTE: Once your Momondo search completes, try clicking on '1-stop' on the left hand side to see these flights. 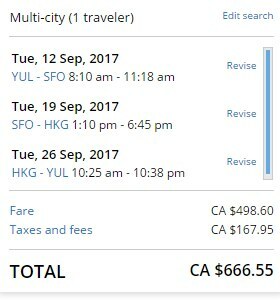 Update 8/26 - Delta is now showing flights from Montreal to Hong Kong for $528 to $539 CAD roundtrip including taxes on select dates in 2017 and 2018. But the flights have 2 stops each way. 2. 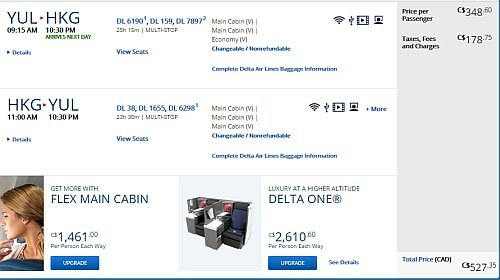 You may find you can't always click through from Google Flights to the Delta website for these flights. montreal, yul, flight deals, tokyo, japan, nrt, asia, east asia, hong kong, hkg, united airlines, hnd, ana and all nippon airways.